successful and clever businessman, a person who can see the details. Ambani’s business ability and ambitious personality is shown by the developed mounts, the long finger and phalanges. The hand signs shows a man driven to succeed in business from a young age and a person with a high level of energy. Check out hand photos of his here, and here. The shape of his hands resembles that of his brother Mukesh to some extent. Growing up in a business family probably developed and honed these inborn characteristics. For example, Anil Ambani's headline has improved remarkably from what he was born with. 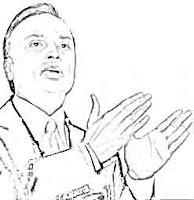 Though both his hands show business talent, his left passive hand shows a more imaginative type of mind, not exactly suitable for doing good in a trading and investment type of business. On his right active hand, the headline shows more of a logical type of mind. The slight creative streak has remained, and this would be an asset in entrepreneurship. This again brings up the question of nature vs nurture. 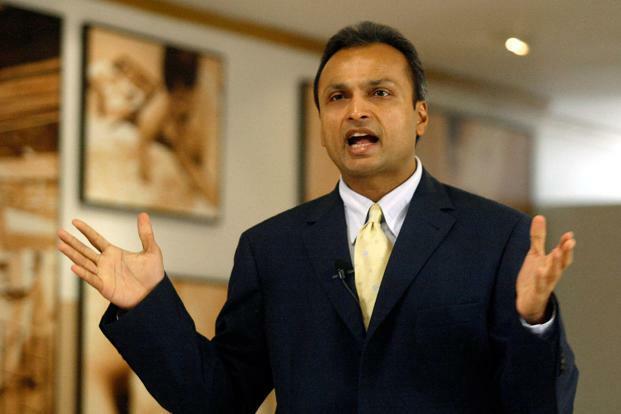 If Anil Ambani had been born in a non-business environment he may never have metamorphosed into the savvy businessman that he is today. Although he had the right personality characteristics from the start, he developed the capability with the right exposure. Anil's strong Saturn finger with developed knots shows not just his seriousness and focus, but also a finely developed analytical and thinking ability. This in combination with the other knots and good first and second phalanges shows a person whose thought process is organised and clear-cut. He is a man who plans his every move. Manipulative he certainly is and calculating as well. He is also organised in his physical environment, knowing where everything is, and his head is splintered into neat little compartments with each compartment functioning like clock-work. Certainly not a man to trifle with as the lack of a good Venus adds coldness to the personality, the slim phalanges add discipline and control, the position of the thumb some element of secretiveness and the Headline and fingers calculative thinking. The Mercury finger, its shape, and the shape of the thumb show Anil to possess the ability to express himself with fine diplomacy and shrewdness. He also has a well developed executive ability. His fingers which are long and slim, yet short as compared to his palm, and the developed Upper Mars mount show decision-making ability and a cool head. These abilities, though inherited, have been enhanced considerably. Other signs like a good thumb, the fingers and the shape of the hand are good, showing leadership abilities, self-control and also the ability to see issues from a broad perspective and a lack of stubbornness - qualities essential in a good leader. 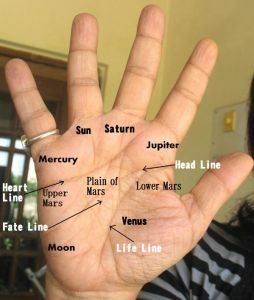 His Jupiter (index) finger shows some type of deep faith, maybe religiosity, but not superstition. He is believed to be superstitious, but I could not find a confirmation of this on his hand. I got an email asking me whether Anil Ambani will go to jail (he is suspected to be involved in some shady deals). Well, without seeing the lines on his hand very clearly it is not possible to say if such an event looms in the future. The shape of the hand and fingers can reveal some personality characteristics in a broad way, and only the lines will show the details. You might also like to read Mukesh Ambani's hand reading or Ratan Tata's hand analysis or Laxmi Mittal's Hand Reading or Vijay Mallya's hand analysis or The Hand Analysis of Bill Gates or check out the personality characteristics of Businesspeople from around the world. Thanks for this reading. Can you make out what type of married life he has? Well, the limited Venus shows a lack of warmth, but without a close look at his Heartline it is difficult to say more. However I do have a photo of his Heartline on the left hand. This shows he inherited a strong attachment to family, a love which is restricted to a few close ones. But this love is deep and long-lasting. It also shows that he would want to marry someone whom he thinks is "worthy" of him. Perhaps that is why he took so long to propose to Tina Munim! However as I have not seen the Heartline on the right hand I cannot really say what he is like today. In some pictures it appears as if his Hearline has gotten shorter, but I cannot see it clearly. Its interesting to know that he might not have been as successful if not born in a business family. I have always wondered about that! And what about the fights and the split with his brother? DI, I personally think environment is more important, although the seed needs to be there. Vishesh, About the relationship with his brother, Ambani's hand shows that for him the head rules, not the heart. This means when there is a clash between the two, the heart will take a back-seat. Please try to get the hand reading of Jaggi Vasudev who has built dhynalingam in coimbatore. There are many controversies about him, hence the request for the benefit of all. Reading the hands of spiritual people is one of things I find fascinating, but unfortunately I cannot do it without a good photograph of the hand. I have searched for Jaggi Vasudev's hand photos but have not been successful.